All aboard! Theres never a dull moment on the Kindergarten school bus. 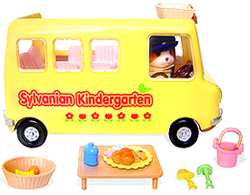 Whether its off to school or field trip, the Kindergarten Bus comes with variety of toys and tasty snacks to keep baby critters entertained from and to their destination.